and a warm welcome to lincoln square. Since opening in january 2018, The Warbler has become a welcome mainstay in Chicago’s northside Lincoln Square neighborhood, located at 4535 N. Lincoln. Named after the Midwestern-migrating bird known for congregating in large groups to chatter and socialize, The Warbler is a sun-filled gathering place for both locals and visitors to enjoy delicious cocktails and chef Ken Carter’s elevated comfort food. The Warbler is the second restaurant owned and operated by the hospitality team behind Lincoln Square’s critically acclaimed Gather, located right next door. The Warbler opens its doors at 4:30pm, seven days a week. For reservations, please call (773) 681-0950 or book through Reserve, here. Follow us on Instagram at @TheWarblerChicago! 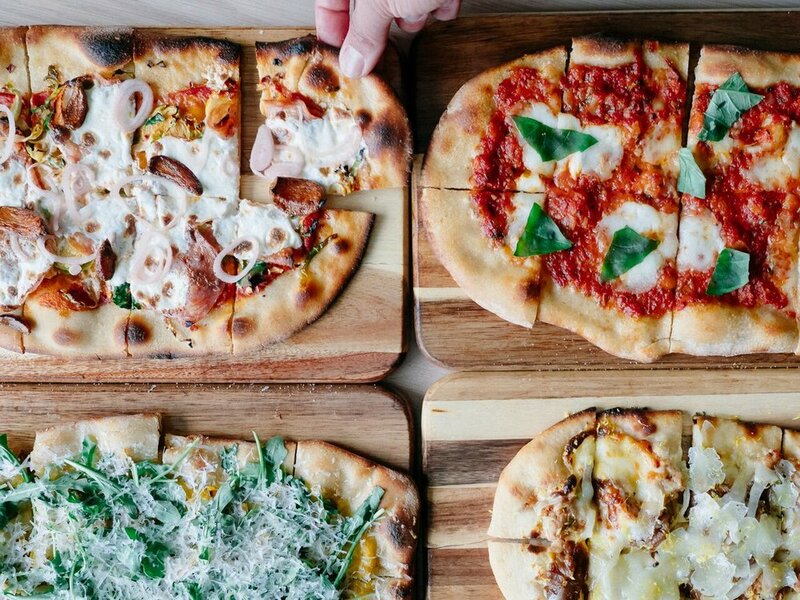 Join us from 4:30-6:00pm Monday-Friday for a family-style supper club! For $25/person, your table can choose a selection of six dishes from our regular dinner offering including one salad, two appetizers or vegetables, two flatbreads or pastas and any one of our decadent desserts. The culinary team will portion the dishes based on the number of guests in your party to ensure that all get enough to eat. With a menu friendly enough for children, but elevated so that the adults will truly enjoy it too, our weekday supper club is perfect for all. Kids nine and under are complimentary! The beverage program at The Warbler was created in an effort to serve delicious cocktails, fresh beer and carefully selected wines, but also at a great price. All of our handcrafted custom cocktails, named after beautiful birds, feature fresh ingredients and the full spectrum of spirits - from the aromatics of gin to the sweetness of tequila to the place of cognac. Wine drinkers will enjoy our carefully curated wine list, which will be sure to satisfy any palate. For beer lovers, we offer a selection of rotating draft beer as well as assorted craft beers in bottles and cans with a focus on the many local breweries we are proud to call neighbors. Non-drinkers and kiddos can join in on the fun too with our inventive mocktails or our fine selection of loose leaf tea from Ravenswood's very own Rare Tea Cellar. Chef/Partner Ken Carter grew up in Phoenix, Arizona and attended Scottsdale Culinary Institute. After completing the program at Le Cordon Bleu, Ken worked at the esteemed The Phoenician Resort in Scottsdale, then earned the amazing opportunity to work alongside famed Chef Charlie Trotter at the namesake restaurants in both Las Vegas and Chicago. 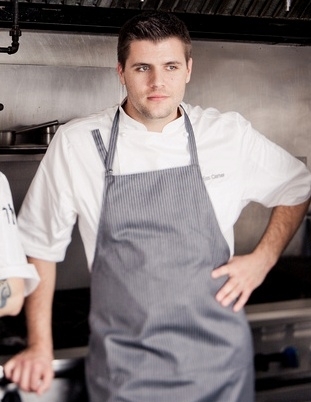 In December 2012, Ken joined owner David Breo to open Gather as a Partner and Executive Chef. Five years later, David and Ken have embarked on their second concept, The Warbler. Ken thoughtfully created the full-offering menu, appealing to a all guests looking for a great culinary experience worthy of any occasion. He strives to ensure that all guests have an amazing dining experience and is inspired to create innovative dishes that entice guests to enjoy new and unexpected flavors. Backed by Ken’s culinary expertise, Gather was nominated for Best New Restaurant by the Jean Banchet Awards in their opening year and Ken received recognition in Zagat’s 30 under 30 (when he was) a young man. Ken continually strives for success by pushing new flavor combinations with classic techniques, as well as lifting the conventional thought behind what a neighborhood restaurant should be. Gift cards to The Warbler are perfect for birthdays, anniversaries, holidays and everything in between! Available in any denomination, we are happy to customize your gift card with a personalized message. Gift cards are available for pick up here at the restaurant or you may choose to have the gift card sent via USPS Certified Mail for an additional $4. Please email use the form below and provide us with your prefered denomination, the requested personalized message, the address of the recipient and the best way to contact you. We will do the rest! Thank you for sharing us with your friends and family. We gladly accept reservations for groups sizes of up to eight people. You can make reservations by clicking below and selecting the best available day and time. If you cannot see availability for what & when you need, please call as we are sometimes able to accommodate.